As Ontario’s microbrewery scene continues to grow, so do the opportunities for some beautiful motorcycle day trips. There are just over 150 registered microbreweries operating in the province. From a list that large, how does a motorcyclist choose which ones to ride to and how does one do it without drinking and riding? Well, here’s how I did it—successfully. There are a couple of different ways to narrow down which breweries to visit and it totally depends on whether you prioritize the beer or the roads. If you are an über beer nerd and only want to visit the breweries that specialize in producing your favourite style of beer then the brewery will dictate the direction you go and for the most part limit the route & the roads you will take. 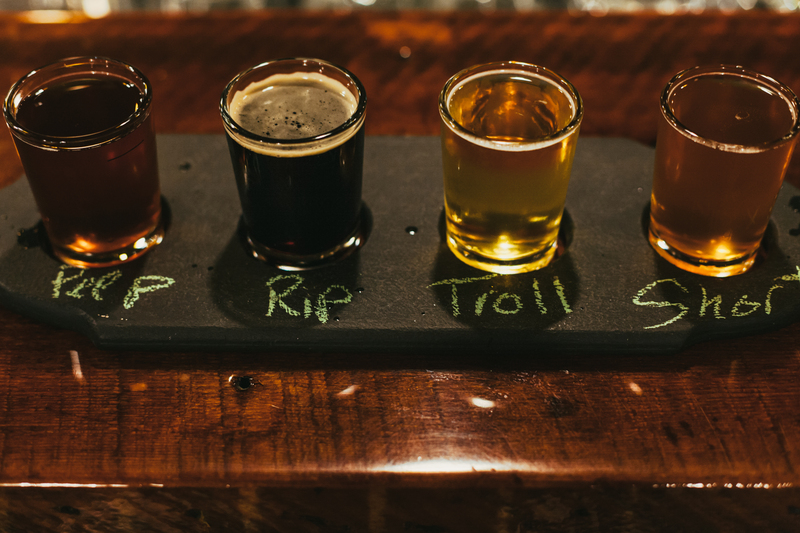 If your interest lies more towards the riding experience and finding those epic roads, then it’s more about choosing a region and picking a couple breweries to visit. 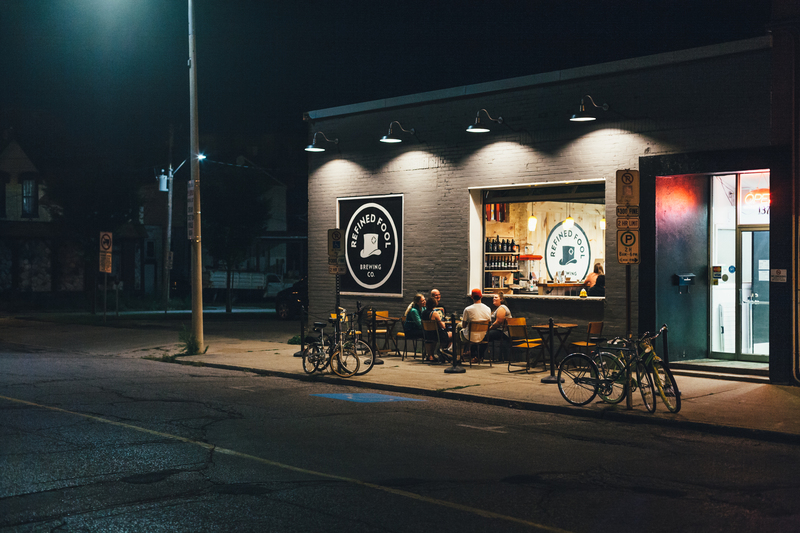 Either way, The Ontario Craft Brewers brewery map is a great resource to help narrow down the best breweries for your type of adventure. 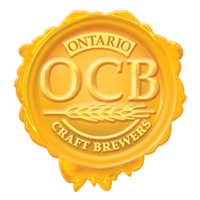 The Ontario Craft Brewers (OCB) is a trade association representing currently over 50 independent breweries within Ontario. 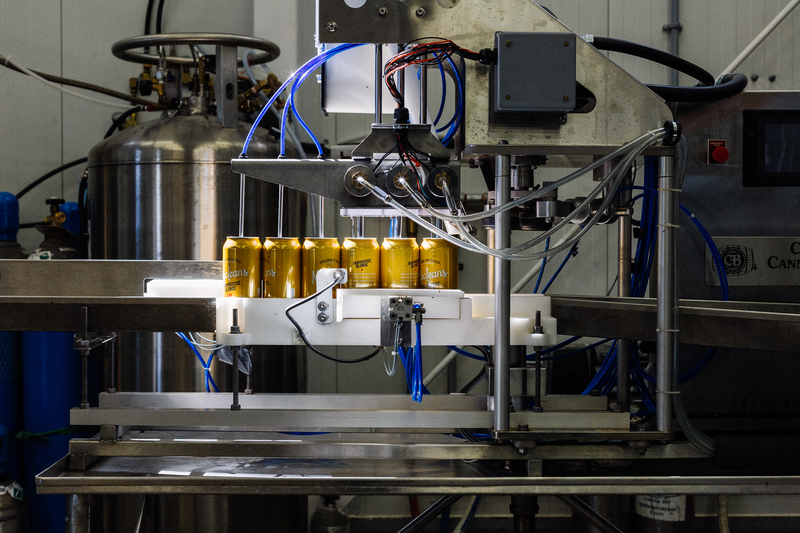 The breweries represented by the OCB all share a vision for creating fresh, natural, quality beer and have committed to brewing their beer at a standard of excellence that they are all accountable to. 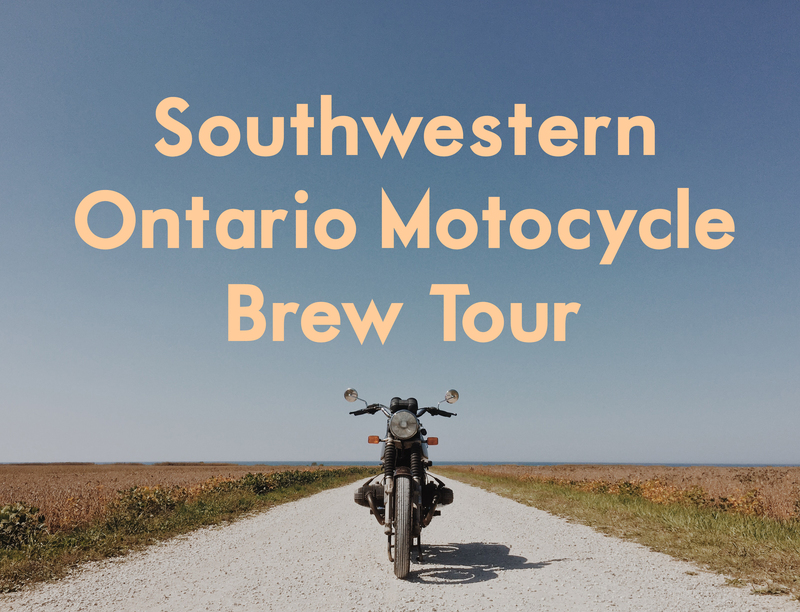 On my trip last summer, I was limited to only a day and a half to explore so I picked 2 breweries that I’d been wanting to visit in Ontario Southwest for a while, hopped on my bike and went for it. 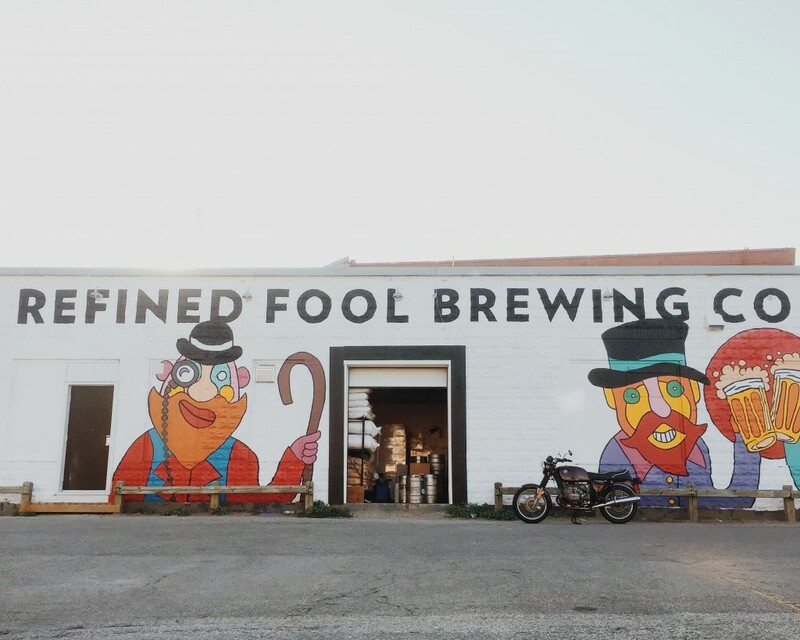 Refined Fool Brewing Co. in Sarnia was the first stop on my list. 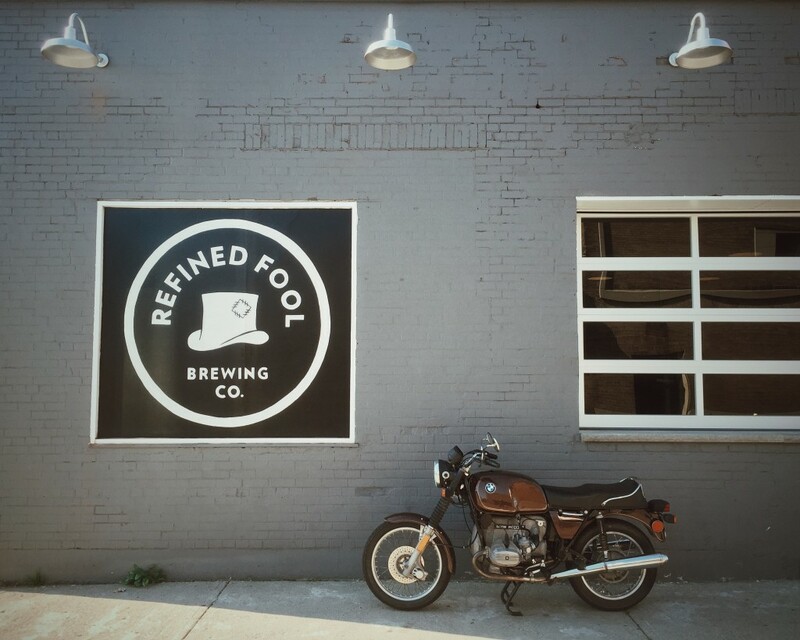 I met a few of the guys who started the brewery through some friends when they visited Toronto a few years ago—this was early on in the making of what Refined Fool Brewing Co. has become today. We hit it off, stayed in touch and I watched as their idea become a large community player within a 1 short year. Sarnia is a smaller city with a population of roughly 75,000 people. 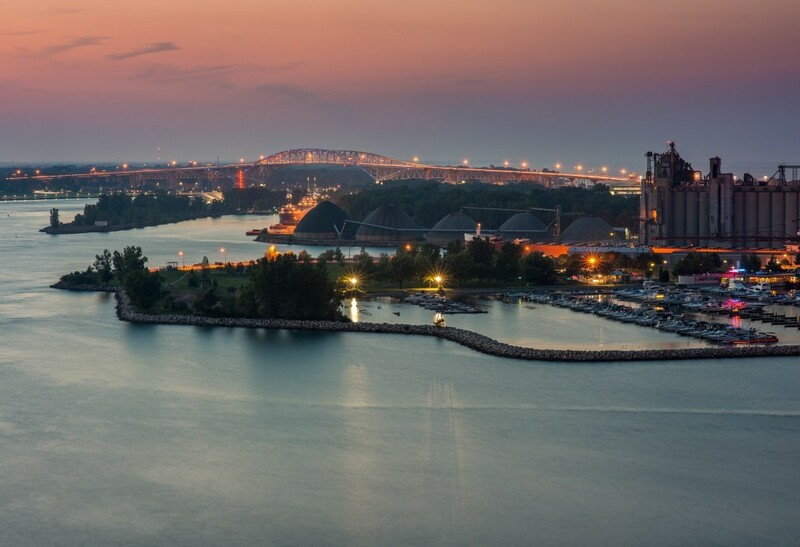 Known for its large petroleum industry and for being the first region in North America to drill for oil commercially, Sarnia is a hard-working family city with a large creative community. It’s a fairly quiet city set on the south end of Lake Huron and it has this feeling of “it’s ready to bloom but it needs some more gardeners”. I rolled into town around 6pm, just as the sun was setting. For the sake of time I took major highways from Toronto but if you have a full day to kill I would encourage you to stop and explore some of the more scenic side roads and the smaller breweries along the way. I hopped on the QEW from Toronto, hit the 403, the 401 and then finally the 402 into Sarnia. The road is pretty straight and uneventful but there is still a fulfilling joy and a great feeling of accomplishment when taking a solo motorcycle trip. 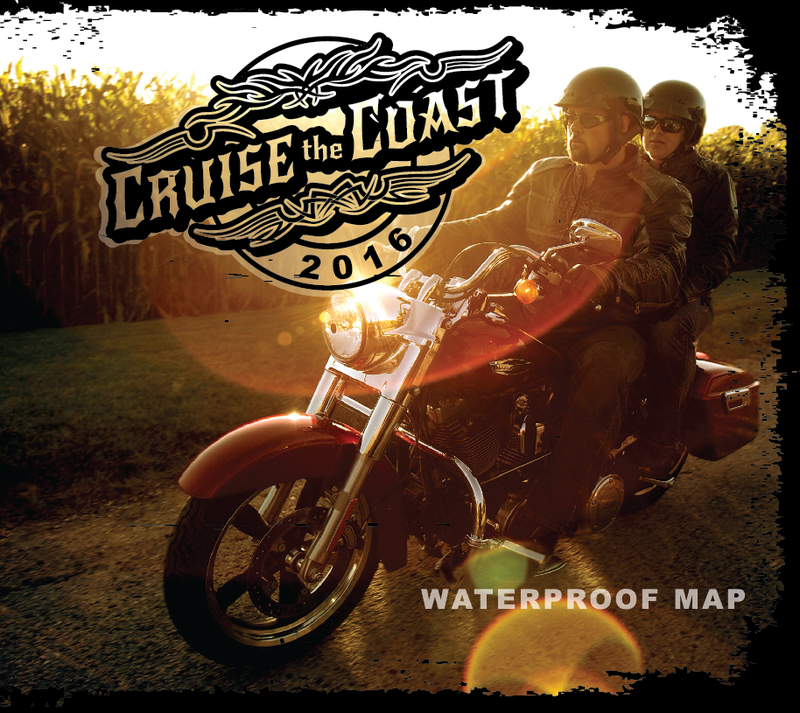 Check out the Cruise the Coast site for the best motorcycle routes in Ontario’s Southwest. Once I rolled into town, I met up with Daniel from Refined Fool at his office and then we grabbed dinner at a local pub. We caught up, and he filled me in about “Sarnia Life”. Daniel and his roommates were gracious enough to let me crash at their place that night, so after dinner I was able to park my bike and stay in town to enjoy a couple different beers with them. A few other friends of mine from Sarnia joined us to tour the brewery and sample some more beers together. Refined Fool for me felt like home. The venue was welcoming with friendly staff and an easy to navigate layout. 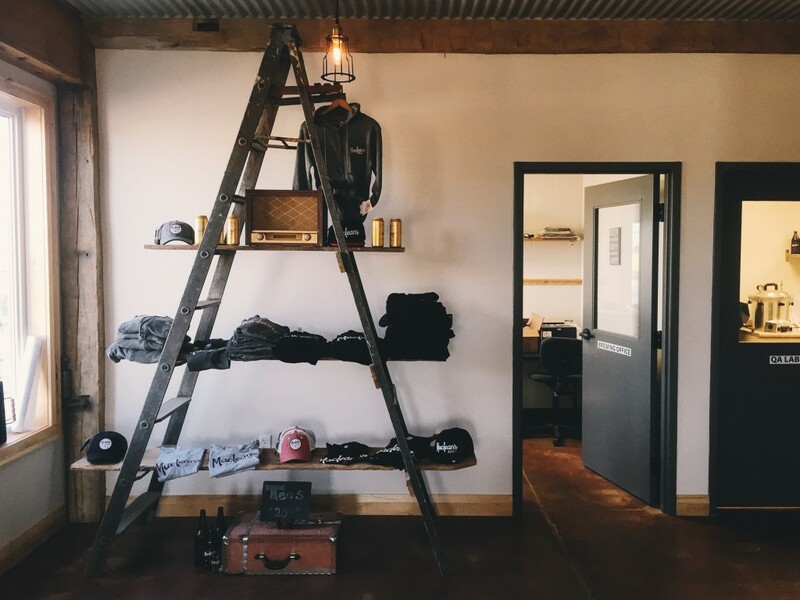 It’s a cozy warehouse decorated in wood, metal and concrete and they foster a real community feel. It’s almost as if everyone is a friend and invited to be a part of their little beer-brew friend crew. In the summer, the small patio upfront is a nice spot to chill out and catch a bit of the sunset. Inside, the spacious bar and large surrounding tables allow visual access into the brewing area. You’ll often really feel like you’re a part of the brewing process. 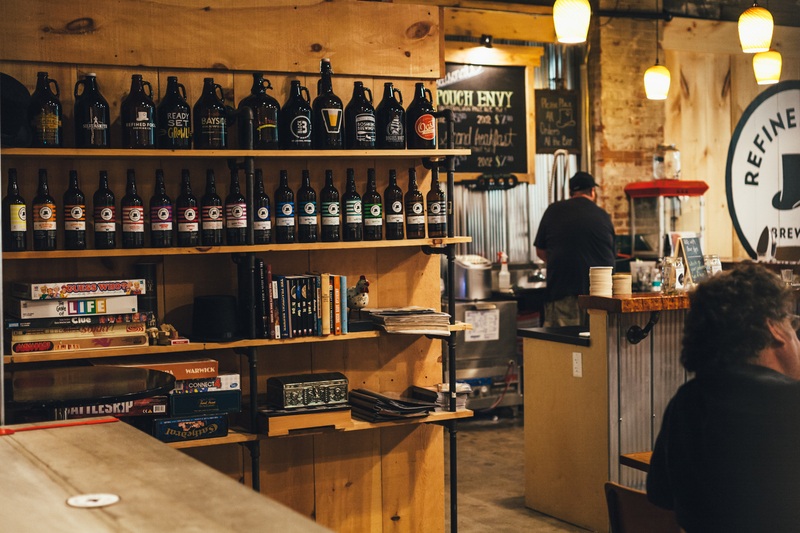 It’s a fun space to hangout, chit-chat and nerd out about beer if you really want to. The brewery is open for drinks from 11am – 11pm Sunday through Thursday and stay open till midnight on Fridays and Saturdays. The retail store is also open from 11am – 11pm every day of the week. They serve a bunch of different styles of beer and since they don’t serve food yet you can order-in anything you want from an outside restaurant. You want to crush some pizza or some Indian with your beer? Call it in, have it delivered to the brewery and you’ve got yourself a party. I’ve heard that since January they’re serving locally sourced charcuterie & cheese boards that’s something I look forward to checking out. The ordering-in option will still be available but who doesn’t love a good charcuterie board? There was something enchanting about the city of Sarnia. It was a quiet and calm Wednesday evening with the sun slowly setting like it was melting into lake Huron. Perhaps I was under a spell but I was stoked to be on a motorcycle trip and to be hanging out with cool guys who are doing something they love. I was inspired by chatting with Daniel and hearing first hand all that he and his good group of his friends had created and achieved together. The following morning I set out for my second stop, MacLean’s Brewery in Hanover, Ontario. 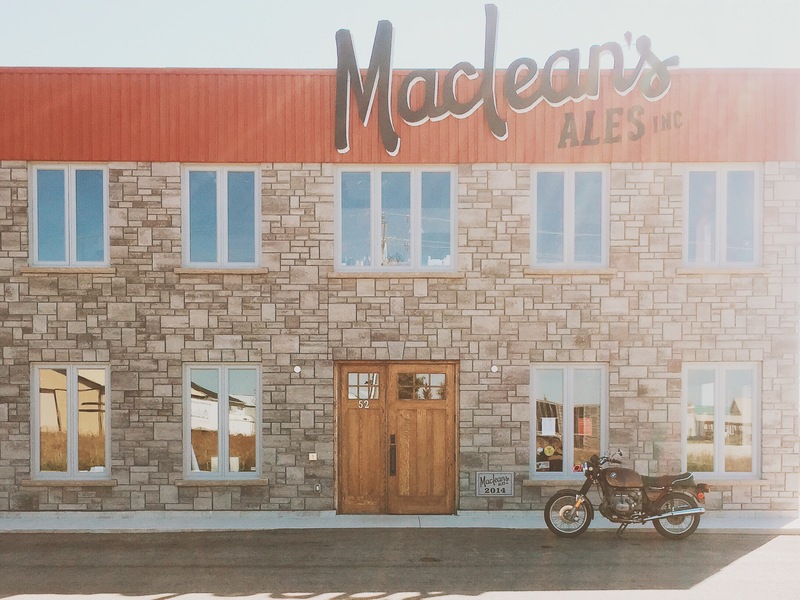 MacLean’s was recommended to me by my friend Scott, a fellow motorcyclist & beer lover. Scott shared with me how Charles MacLean, founder of MacLean’s Brewery started brewing beer to earn some money during a motorcycling trip in the UK in the late 70’s. Charles travelled to England in 1978 to explore the English countryside on a Norton Commando. After months of travelling and experiencing the different ales in England, Charles needed to earn some money to put fuel in his tank and keep his travelling going. Charles found a pub that hired him to tend the bar and taught him how to brew beer. 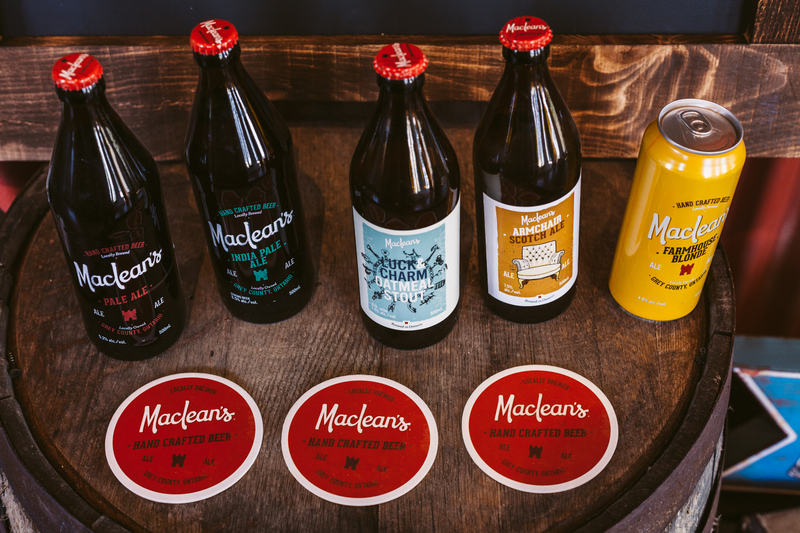 After returning to Canada, Charles continued brewing, mastered his craft and eventually founded MacLean’s Ales. The ride from Sarnia to Hanover was a nice start to my day. I left Sarnia around 9am and arrived at MacLean’s around noon. 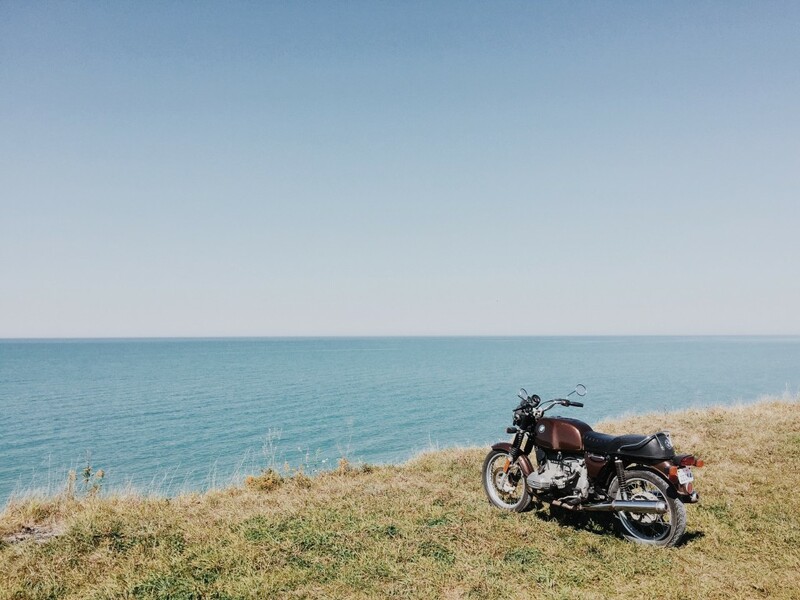 I chose to ride north from Sarnia, up the East coast of lake Huron through Lambton Shores and Grand Bend. I loved going to Grand Bend with friends in high school so I wanted to reminisce a bit and check out the sand dunes. I also figured it would be nicer to ride along the water rather than through corn field after corn field. MacLean’s is located on the South East end of Hanover, Ontario – a small town of about 7,500 people. The brewery is set up mostly for producing beer with a small bottle shop in the front to serve the general public. Charles MacLean still works at the brewery with his friendly crew and was happy to share a few fun motorcycling stories with me. If you and your pals are riding in the area, make sure you have some saddle bags, a backpack or something to take a couple of bottles home in. I had a small Kriega backpack with me so I was able to bring back some of this fine product to share with my friends. When planning motorcycle trips around food, beer and wine, I strongly recommend booking hotels in advance and planning to stay the night when drinking. Why not enjoy yourself! Hotels and taxi’s in small towns are inexpensive—especially when sharing the costs with a buddy. Or if you can’t stay the night, plan a Motorcycle Brew Tour night with your riding buddies. 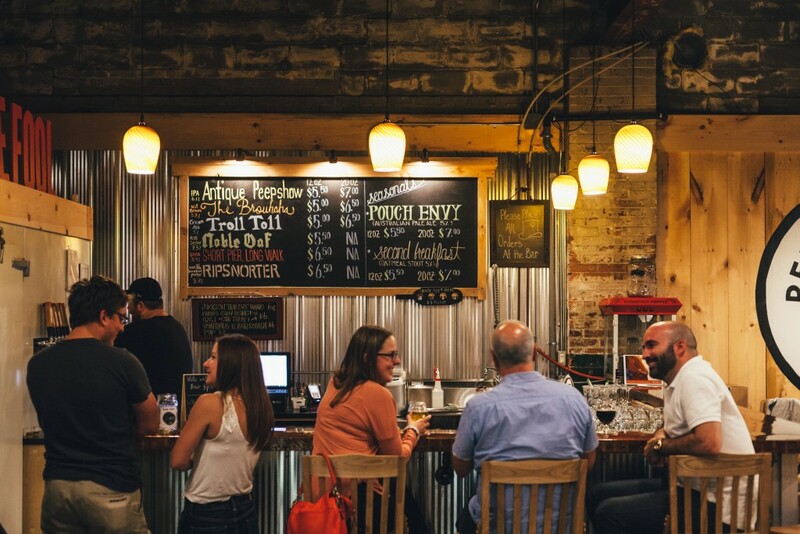 Head out to some breweries, load up your panniers or whatever luggage system you have and meet back home to share your adventures over a couple of cold ones. 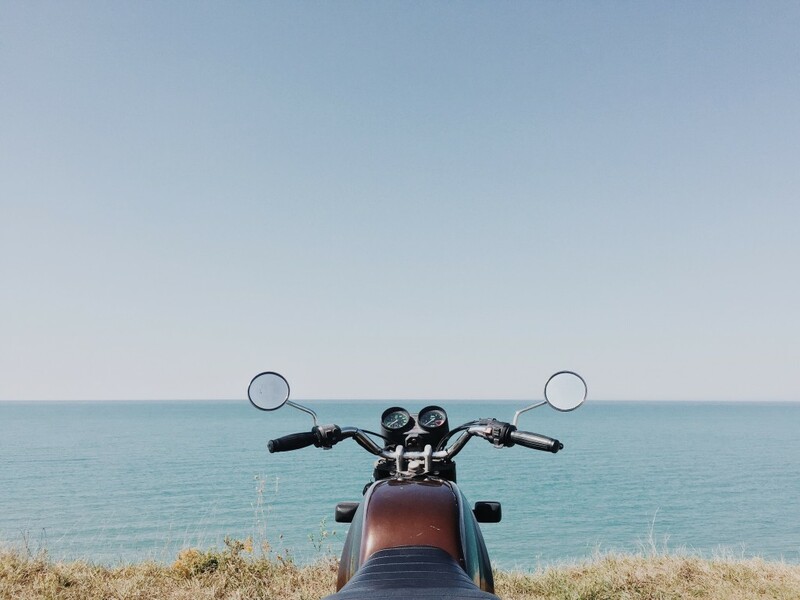 Everyone loves a good motorcycling story and the only way to get one is to get out there and ride!